This product can accompany your favorite poultry and side dish. Pieces of chicken meat, chicken broth and poultry spices are combined in this country‐style gravy. 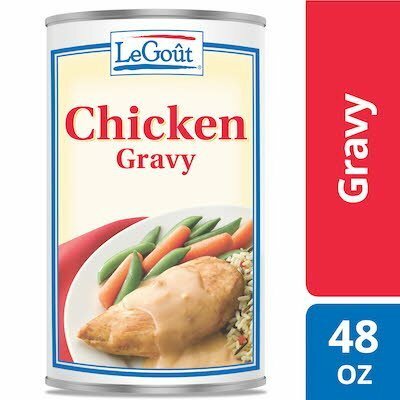 Pieces of chicken meat, chicken broth and poultry spices are combined in this country-style gravy. HEATING DIRECTIONS: Empty contents into a saucepan. Heat slowly to serving temperature, stirring occasionally. For best results, maintain proper serving temperature of 160°F to 180°F.